Amusingly, many have pointed out a goof in the final shot of the clip--A camera operator is seen behind Brown and the bandages on her hands disappeared. Director Mike Dougherty posted the same clip with an alternate take on his official Twitter--Yes, in that version she's wearing bandages and the camera operator is no longer in the shot. Take a look here. The clip appears to be teasing a major showing at San Diego Comic Con this weekend. Gormaru Island has confirmed the trailer is finalized and ready to be shown with a run time of 2:23. San Diego Comic Con seems like the obvious place to debut the trailer--Though nothing is confirmed just yet. We'll have to wait this weekend to find out! Godzilla: King of the Monsters stars Kyle Chandler (Super 8, Friday Night Lights), Vera Farmiga (The Departed), Millie Bobby Brown (Stranger Things), O'Shea Jackson (Straight Outta Compton), Aisha Hinds (If I Stay), Anthony Ramos (Hamilton), Charles Dance (Game of Thrones), Randy Havens (Stranger Things), Ken Watanabe, (Godzilla), Sally Hawkins (Godzilla), Thomas Middleditch (Silicon Valley), Bradley Whitford (Get Out, West Wing) and Zhang Ziyi (Crouching Tiger, Hidden Dragon). The film will be directed by Michael Dougherty from his screenplay co-written by Zach Shields. Alex Garcia is producing. The film bows March 22nd, 2019. ^Why? She's one of the best things going for the whole production. This teaser hypes me up for comic con teaser but there is one major problem: it you look at the end shot of her holding her hands up to her ears , you can see the camera ! Just checked out Monarch's site. There appear to be other areas around the world that may or may not have kaiju issues... and it makes me wonder where this is going after KK vs G. Will there be a collaboration between TOHO and Legendary after KK vs G ? 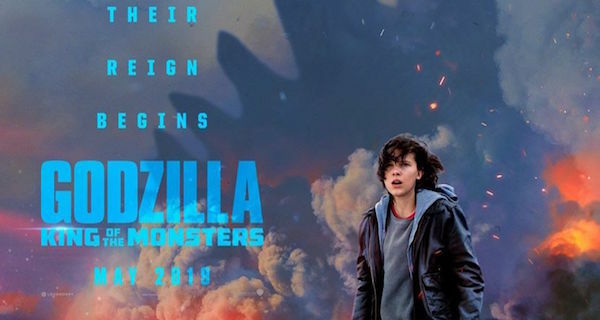 Will this lead to more kaiju films ? I think Legendary is going for all the marbles on this and should G KOM do extremely well in the box office... then it stands to reason that future films would be worth the time and effort because they make money. CGI and motion actors can make a movie worth the ticket price... if it's done right. I was them too. There are some very interesting locations that might connect to sustain monsters. For example Japan (to be fair no big surprise), great Britain which could be gorgo and Russia which could be the monster in Siberia from the monarch timeline (anguirus/rhedosaurus/anything else). Honestly not familiar with Millie Bobby Brown but she seems to be quite popular so I'm just going to assume that she's a good actor. the day of the trailer has come!!!!!!!!! still haven't been so excited for a trailer since the force awakens.